The year of the pig. The child is playing with a toy pig. hd00:17The year of the pig. Child at the Christmas tree with a toy piglet. hd00:12The year of the pig. A child is decorating a Christmas tree. 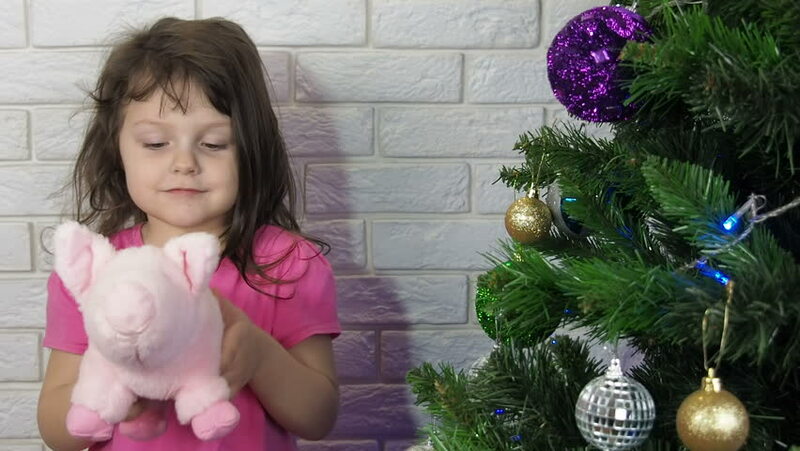 A little girl puts a toy pig on Christmas tree. hd00:09A child with a soft toy at a Christmas tree. Little girl with a pig toy. hd00:25Happy child at christmas tree. A little girl touches the tree. hd00:17The year of the pig. Happy child with a toy child near a Christmas tree. hd00:11A child with a toy pig at the Christmas tree. hd00:24The year of the pig. A child is hugging a toy piglet. Little girl with a pig at the Christmas tree.